Have you heard of DNP3 but been unsure of what it is or what it’s used for? In this brief article, I’ll introduce you to this communications protocol, its role in SCADA applications, and how you can use it with your Campbell Scientific equipment and software. 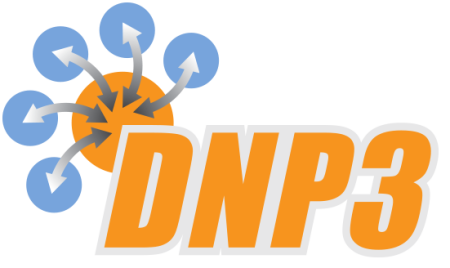 DNP3 refers to “Distributed Network Protocol.” It is a communications protocol designed to optimize the transmission of data and control commands from a master to one or more remote devices or outstations. DNP3 is an open standard that was developed by Westronic, Inc., specifically for use in SCADA (supervisory control and data acquisition) applications. How is DNP3 different from Modbus? The DNP3 protocol is commonly used to report event and historical data to SCADA systems in the water and energy sectors in the United States, as well as in other countries throughout the world. As real-time weather data and energy production have become more intertwined with the deployment of wind and solar farms, transferring critical weather data via SCADA protocols has become more and more commonplace. How does Campbell Scientific equipment and software support DNP3? Weather stations based on Campbell Scientific data loggers are used worldwide because of their capability, flexibility, accuracy, and reliability. In addition to their flexibility in measuring sensors, our data loggers are also very flexible in how they transfer data, which includes communicating with SCADA systems via the DNP3 protocol. For a number of years, our data loggers have supported the DNP3 protocol. As the needs of our customers evolve, we continue to add enhanced DNP3 functionality to our data logger operating systems. Recommended for You: For information on how to implement the DNP3 protocol on your Campbell Scientific data logger, read the “DNP3 with Campbell Scientific Dataloggers” application note. The CRBasic Editor Help files include assistance for using these instructions to turn your weather station into a DNP3 outstation that is ready to connect to a SCADA system. 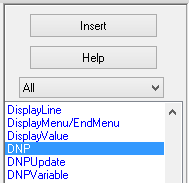 Tip: To access the CRBasic Editor Help files, highlight the DNP instruction in the instruction list of the CRBasic Editor, and click the Help button above the instruction list. For a demonstration, watch the "CRBasic | Help System" video. Recommended for You: For a real-life example of how DNP3 is used, read the “California: Wind Farm Monitoring” case study. Renewable-energy-producing facilities in California are required to report high-accuracy weather data, along with their current power production, to the California Independent Service Operator (CAISO), via the DNP3 protocol. I hope this brief introduction to DNP3 has helped you better understand what this protocol is and how you can use it with your SCADA system. Look for more articles in the future with further DNP3 protocol implementation details and tips. Do you have DNP3 comments or questions? Feel free to post them below.